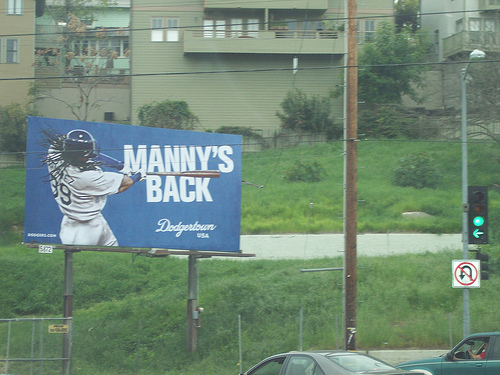 Billboard of the Week - Manny's Back! Are you looking to welcome a high profile athlete back to your organization? Are you looking to create a brand building billboard campaign? The Los Angeles Dodgers organization celebrated the return of star LF Manny Ramirez during the offseason by featuring a "Manny's Back" billboard campaign along major roadways across the city. The billboards served as an effective reminder of team's commitment to winning and stimulated buzz and interest for the upcoming season.